For many of us, "getting fit" and exercising means we've decided it's time to lose weight and we have only a small idea of how to do that. However, going at exercising from a weight loss perspective can be a difficult approach to succeed with. Weight loss and "getting fit" don't always necessarily go hand in hand. Also, many people take to exercising in ways that are too narrow minded. In order to truly find a healthy way to fitness, you should try to consider exercises that involve your entire body. Full body workouts are the best pathways towards total fitness and health. You should focus not only on muscle strength, but also on activities that exercise your core, heart, and lungs. While for many it may seem like full body workouts are nearly impossible, you may be interested to find some of the things that workout every inch of your being. These three exercises are some of the best and most healthy ways to attain a full body workout. Swimming is one of the most well-rounded sports you can take part in. With a thorough and trained swimming workout, an individual can work every muscle in their body, do a significant amount of aerobic exertion, and cardiac workout all at once. The more body parts that are involved in a workout, the more calories you will burn, which is one thing that makes swimming a great tool for careful weight loss. Because swimming is a non-weight bearing workout, it is less strenuous on your joints and muscles. Of course, as with any workout, you want to be careful that you are performing the strokes and movements correctly. Because swimming is a repetitive motion sport, injuries can occur if strokes are performed incorrectly. Be smart about your workouts. Just 30 minutes in a pool provides a wonderful workout for your core, lungs, heart, and primary muscle groups. For a slightly more adrenaline pumping workout, kickboxing may be more fitting for some individuals. Kickboxing is another total body workout that focuses its efforts on core muscle strength and aerobic health. Through a combination of choreographed punching and kicking, individuals can attain a thorough workout that is strenuous and fun. For some, the repetitive nature of swimming can be dull and uninspiring, so kickboxing may be a great alternative. Though it may seem that kickboxing would focus more of its attention on the lower body, the workout actually does a great job of involving all muscle groups upper and lower. One drawback to kickboxing, however, is that it typically requires special equipment and instruction. If swimming and kickboxing seem somewhat impractical to you, then it is possible that this exercise may be out of the question. However, cross country skiing is definitely one of the best total body workouts you can come by. This sport burns maximum calories and provides an incredible cardio workout. 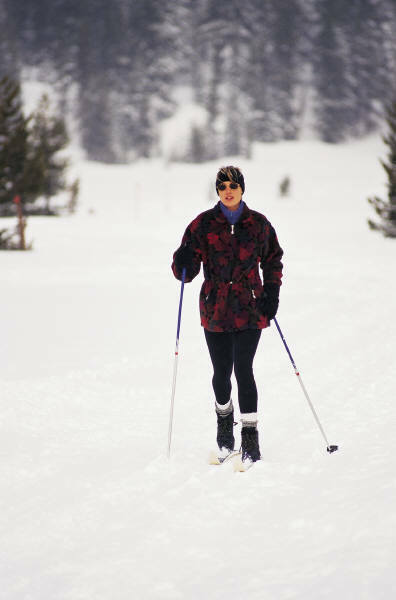 The body motion that cross country skiing involves is very similar to running, but provides for a lower impact and smoother workout. Skiing is fast paced and fun and this is one of the reasons it makes for such a strong workout—people enjoy it. While cross country skiing is one of the absolute best total body workouts, obviously it can be hard to gain access to all the conditions needed. There are machines in gyms that mimic the movements that can be very successful, but, of course, they won't be exactly the same as the real thing. Note: Please remember that before you start any new exercise program you should always check with your doctor. What do you think about these types of whole body exercises? Do you have any other ideas for whole body exercise to share? This guest post is contributed by Angelita Williams, who writes on the topics of online courses. She welcomes your comments at her email Id: angelita.williams7@gmail.com.